A pool room dehumidification specialist came to that realization back in the 1970’s, and like many other innovations, his idea led to finding a better way. In 1985, the solutions were brought to market and he is still President and Chief Engineer for DXair. 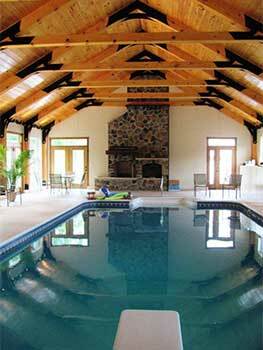 Stories like this fill the annals of American business history but we’re not here to simply entertain you with this engineer’s story, we’re here to provide custom built solutions that truly control the humidity and air quality in your pool room/natatorium. Sure, everyone in this business claims they can help you, but our engineer worked with many other systems before developing his. By the way, that first prototype system built in 1985 is still functioning! The fact that each DXair system is custom built is important. Your needs or your client’s needs are unique. Effective humidity control is not achieved with a canned system. Our years out in the field proves that. It’s also our years out in the field that lends expertise in creating your custom built system that works, and eliminates a myriad of industry mistakes. There’s another word that effectively summarizes our approach—comprehensive. The list of common mistakes above is only partial. We’ll help you avoid all those and more. When you discover that our dehumidification systems are cost competitive, and considering how costly and common these industry mistakes are, it makes it too expensive not to have us build one for you. When that engineer contemplated all those years ago the ineffectiveness of systems on the market, and the difficulty to impossibility of properly servicing them, and when he said, “There must be a better way,” now you have a little better idea why. Ironically though, the thinking behind those other systems that drove him to ponder a better way hasn’t changed much. 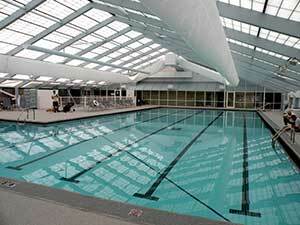 Fortunately for you, that better way is available for your indoor pool room/natatorium. Call us and we’ll custom build it for you. And get this…you’ll actually have a real human being to speak with.